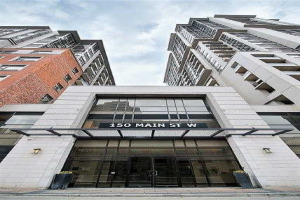 Beautiful Brand New Condo, Great Place To Live Or A Perfect Investment Opportunity. High End Finishes, 9 Ft Ceilings, Granite Countertops. Nestled Right In The Middle Of Hamilton U, Mcmaster & Mohawk College. Ensuite Laundry. Virtual Concierge, 24 Hr Surveillance, 3rd Floor Communal Rooftop Terrace, Gym And Many More Amenities. Purchase As An Investment And Able To Tenant. Multiple Units Available, Different Layouts. Stainless Steel Appliances In Kitchen,Washer And Dryer.